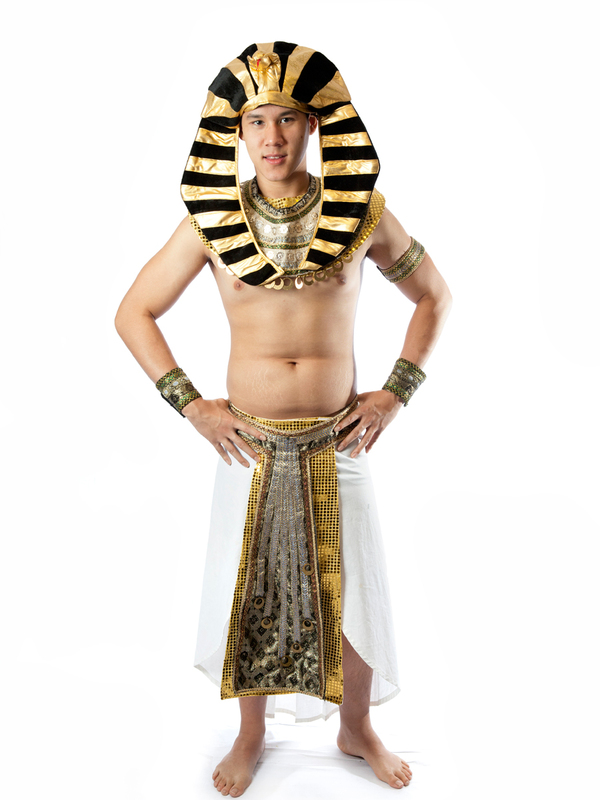 Rule over the Nile in this Ancient Egyptian Pharaoh costume. Fantastic idea for a Movie/Hollywood or historical theme party. 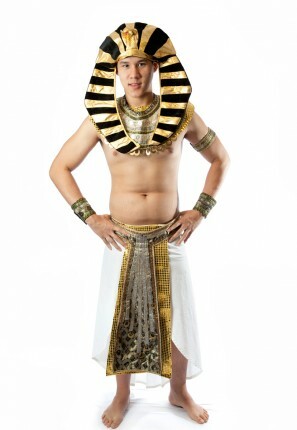 Costume includes cream skirt, ornate belt, wrist cuffs and gold Pharaoh headpiece.